Nominated member of National Assembly Hon. 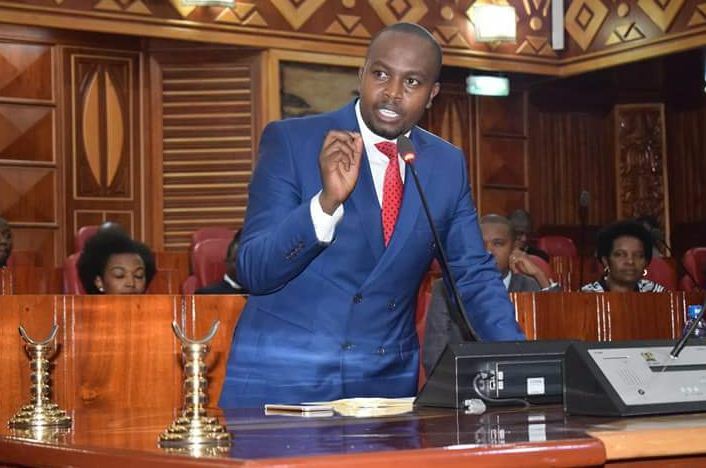 Gideon Keter who has been in the forefront fighting for matters pro-youths has tabled a bill in parliament that if passed will bring to an end payment of Tax Compliance Certificate (KRA), Certificate of good conduct (DCI), Higher Education Loan clearance certificate (HELB), EACC clearance and Credit Reference Certificate (CRB) before employment for fresh graduates. “Youths will no longer have to pay for Tax Compliance Certificate (KRA), Certificate of good conduct (DCI), Higher Education Loan clearance certificate (HELB), EACC clearance and Credit Reference Certificate (CRB) that has been troubling them. Any payment should be done after securing a job. Troubling fresh graduates who cannot afford to buy food, pay rent, help sickly relatives has always given me sleepless nights but am glad that we have taken the issue to the floor of the House and will soon be done away with. The bill is on its first reading. Payment of Tax Compliance Certificate (KRA), Certificate of good conduct (DCI), Higher Education Loan clearance certificate (HELB), EACC clearance and Credit Reference Certificate (CRB) has been a burden and an expensive affair for most jobless graduates trying to secure a job in the government.